The 20th edition of the Rotterdam Philharmonic Orchestra Gergiev Festival was a celebration of Sergei Rachmaninoff's music. This remarkable annual music event in the Dutch city of Rotterdam may have shrunk throughout the years from the initial ten to a mere three days, the programming remains no less intense, the purpose no less noble. In three days, under the tireless artistic leadership of Valery Gergiev, a substantial chunk of Rachmaninoff's musical legacy was revived. The foyer and corridors of Rotterdam's music center The Doelen were decorated with large photographic banners of the composer and his family; there were talks and publications, all helping to bring the man back alive again. But above all there was his music: lots of it. You need to be maestro Gergiev to conduct all four Piano Concertos in a single day, accompanying four different soloists. He also found the energy to perform the three Symphonies, the Symphonic Dances and the Rhapsody on a Theme of Paganini. Other concerts offered solo piano works, songs, and choral work. In fact, too much in too short a time to take it all in. With the kind invitation of the Rotterdam Philharmonic press department I attended three concerts – including the four Concertos, the Paganini Rhapsody, Symphony #3 and a world-premiere from the Russian avant-garde composer Vladimir Tarnopolski – and even that was something of a crash experience. This Rachmaninoff festival was quite naturally a piano event, as much as an homage to the Russian piano School, still very much a treasure trove. While some pianists like Dmitry Masleev and Behzod Abduraimov are only at the start of their career, one couldn't help feeling dazzled by the wealth of talent that Gergiev assembled. The appeal of Rachmaninoff's music, especially his concertos, remains particularly strong judging by the sold out signs – this edition allegedly attracted 42% more visitors than last year – but also by the vivid, refreshing readings from often young artists heard here. 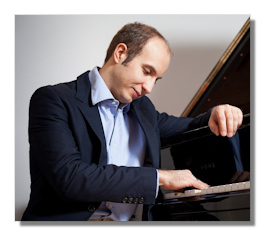 To have five first-rate pianists in a row moreover offered a fantastic opportunity to compare. Hearing them individually would arguably have led to different appreciations, but this is how it goes with such an embarrassment of riches. By contrast, one of the revelations of this Festival was Dmitry Masleev, this year's first prize winner and gold medalist at the International Tchaikovsky Competition. Looking by his boyish appearance a lot younger than his 27 years, his playing demonstrated plenty of maturity and understanding. In effect, his rendition of the Second Piano Concerto, a work full of pitfalls, was wholly convincing and brimming with personal insights. Masleev shares the easy virtuosity of Volodin, but his pianism sounded a lot more nuanced and his natural expressivity and warmth suited the prominent lyricism of the piece. Nothing sounded overblown or forced; his flexibility of dynamics and phrasing seemed to serve the music only and never became a goal in itself. The first movement gained tremendous drive, going for a passionate climax, and leaving once subsided that feeling of melancholy Rachmaninoff had the secret of. The Adagio sostenuto further highlighted Masleev's sensitivity to color and phrasing, his piano in an ideal balance with the orchestra. Both conductor and soloist kept the tempo flowing and the ending left one with a profound sense of loss again. The encore, Rachmaninoff's arrangement of Felix Mendelssohn's Scherzo from A Midsummer Night's Dream was ideal. The rhythmical incisiveness and flow, the light textures without a hint of heaviness all pointed at a genuinely gifted artist. Dmitry Masleev is a pianist to look out for. The evening concert began with Sergey Babayan's performance of the Fourth Concerto. With his 50 years the oldest of the pianists, Armenian-American Babayan is a noted pedagogue who has his own academy at the Cleveland Institute of Music. He is also a fantastic pianist. The rarely heard Fourth is allegedly his favorite and there wasn't any doubt he owns every bar of it. The outer movements had tremendous drive in his hands, at times in the finale pushing the orchestra out of the comfort zone; the Largo was particularly dark, fully supported by Gergiev. A fascinating work, no less, that doesn't deserve its obscurity within Rachmaninoff's legacy. All were however eclipsed by Alexander Gavrylyuk's electrifying performance of the magnificent Third Piano Concerto. Performances in this Festival were enthusiastically received by the audience, but the packed auditorium spontaneously exploded at the end of the D minor, and rightly so. From start to finish the playing of the Ukranian pianist held the public spellbound, gradually building up the tension and eventually generating enough energy to light up the whole of Rotterdam, harbor included. His astonishing grip on the work's structure was magnified by constant tonal beauty, judicious tempi, enviable stamina, and immaculate timing – the buildups in the first and second movements were just as exciting and dramatic as the climaxes itself. The superbly shaped and effortless first-movement cadenza (the original long one) would in itself have been worth the price of admission. Like Masleev, Gavrylyuk owns the secret to find tremendous depth underneath the lightest of surfaces. The bravura passages were stunning, exhilarating feats but it was just as much in the slower, less spectacular passages that Gavrylyuk showed his true artistry. None of the aggravating mannerisms of Daniil Trifonov or the hard-fisted bashing of Denis Matsuev here – this was phenomenal, totally compelling playing, lucid and subtle, ready to take a place among the legendary accounts of Rachmaninoff's Third. As an encore we were treated to a knockout performance of the Rhapsody on the Wedding March from Mendelssohn's A Midsummer Night's Dream by Liszt and Horowitz. The concert of September 11, called "Memories of Russia", paired two major Rachmaninoff works from the last period of his life – Rhapsody on a Theme of Paganini with the Tashkent-born Behzod Abduraimov (25) as soloist, and the Third Symphony. Composed for the occasion at the request of Gergiev, a new piece by Vladimir Tarnopolski Tabula Russia was added as an opener. Behzod Abduraimov stood out as a supreme colorist in the Paganini Rhapsody, a refined magician of the keyboard, shading the Rhapsody with an extraordinary array of dynamics and tones. Each section became a microcosm, cut razor-sharp, living and boasting plenty of wit. The famous 18th variation was breathtaking, begun simply by the piano but taken into full bloom by the orchestra. As Masleev he dug right into the music without ever falling into flashiness or brutality. There is quite obviously nothing Abduraimov cannot do, but in the end it was his musicality rather than his technical prowess which made the most impact. Tchaikovsky's Nocturne in C-sharp minor, Op. 19 #4 followed as delightful encore. Here's another young talent to follow. The success of these concertos wouldn't have been possible without Gergiev and the Rotterdam Philharmonic of course. In spite of the dense programming the conductor appeared utterly engaged and able to transmit his belief in the scores to the players. He also created with all soloists a successful rapport – most were familiar faces, but Gavrylyuk had never performed with him before. Gergiev has been working with the Rotterdam Philharmonic Orchestra since 1988 and his tenure as the orchestra's principal conductor from 1995 until 2008 has been hailed as a golden era. The Rotterdam musicians evidently know how to decipher Gergiev's noisy, hand-fluttering conducting style and nobody is any longer surprised his toothpick batons guarantee that even the slightest inflections are registered. Occasional rough edges or slips in balance in the heat of the action weren't entirely avoided, but in general this was magnificent and often thoroughly exciting playing. The orchestra boasts fine woodwinds and horns sections, yet it were the strings that left the strongest mark. This was a very colorful if mostly darkish, sometimes impulsive and brazing Rachmaninoff: an approach that highlighted the beauty, inventiveness and modernity of much of the writing, especially in the later works. The performance of his final Symphony had all these characteristics in spades. Gergiev evidently knows how to dose the contrasting moods of Rachmaninoff's inspiration in exile; movingly tender in the exposition of the themes, then blooming with passionate strokes and often verging on the edge of a maelstrom of much darker emotions. The first-movement exposition was repeated to superb effect. The final movement, brilliantly performed by the Rotterdam Philharmonic, gained tremendous momentum but also left a bittersweet taste. Tarnopolski's Tabula Russia was a powerful piece scored for a huge orchestra, including triple woodwinds and an extensive percussion section. Tapping into the specific sonority of the traditional Russian bells and liturgical chant, which also feature prominently in Rachmaninoff's music, the music developed in several long crescendos, leading towards cacophonic interruptions and exploring some remarkable percussive effects before dying out. The overall mood was pretty morose, but then again the composer defined his work as metaphoric for the Russian conscience always in search of a new identity. An interesting work, and strongly performed, if arguably too opaque for immediate public appeal.